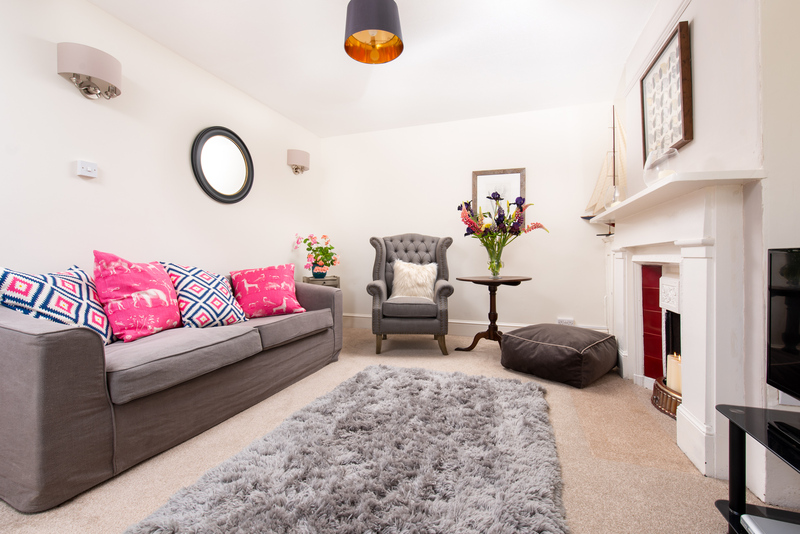 Braunton Farmhouse is a stunning 5 bedroom recently refurbished farmhouse. 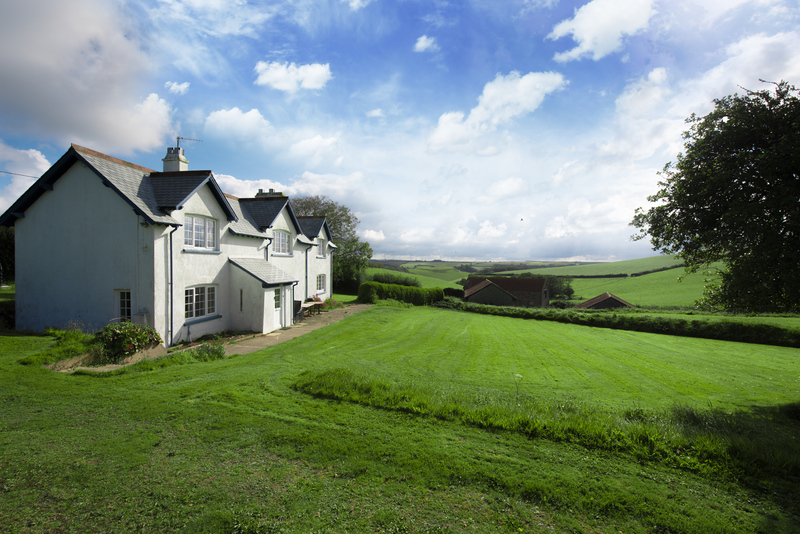 The house sits in its own private grounds and can be accessed via private drive, making the farmhouse very private and secluded but still within a few miles of the popular North Devon villages of Braunton and Croyde. The beaches at Saunton Sands and Putsborough are only a few miles away and offer 3 miles of golden sand and some of the best surfing in the UK. 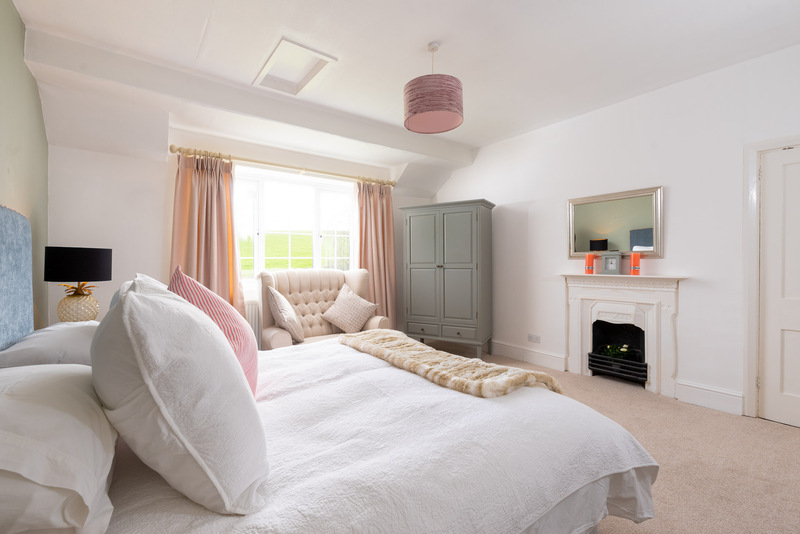 The farmhouse sleeps 10 people in 5 bedrooms; two doubles one a super-king and 3 twin bedrooms all with full-size beds. 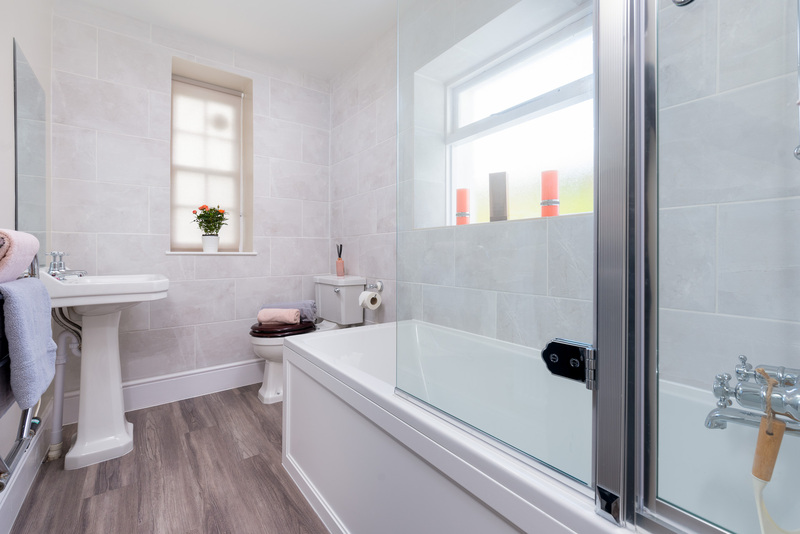 There are 3 bathrooms two downstairs; one with shower, sink and wc, ideal for washing the sand away after a day on the beach. The second is slightly larger and has a bath, wc and sink. The third bathroom is upstairs and has a bath, overhead shower, sink and wc. The house has loads of living space with a large lounge with 3 comfy sofas and large flat screen TV/DVD and lovely views over the garden.There is a charming “snug” with a sofa and arm-chair plus TV/DVD and games console making an ideal children’s bolt-hole. 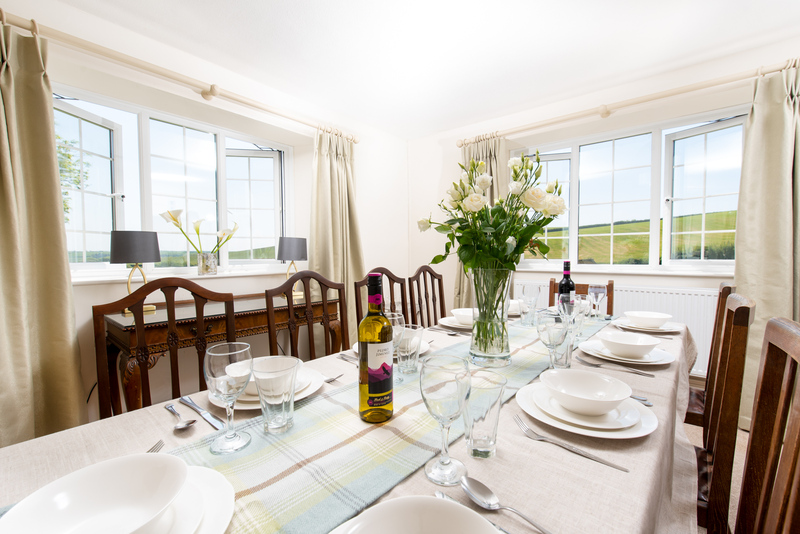 The dining room has a large wooden table and chairs for 10 guests to dine in comfort and there is a very well equipped kitchen with cooker/hob, fridge and separate freezer, microwave and coffee machine. 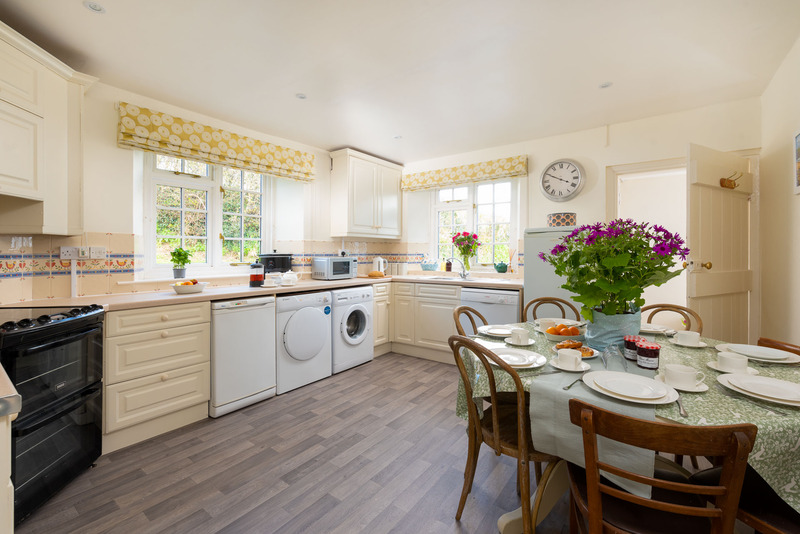 The kitchen also has a handy round table great for breakfasts and snacks. 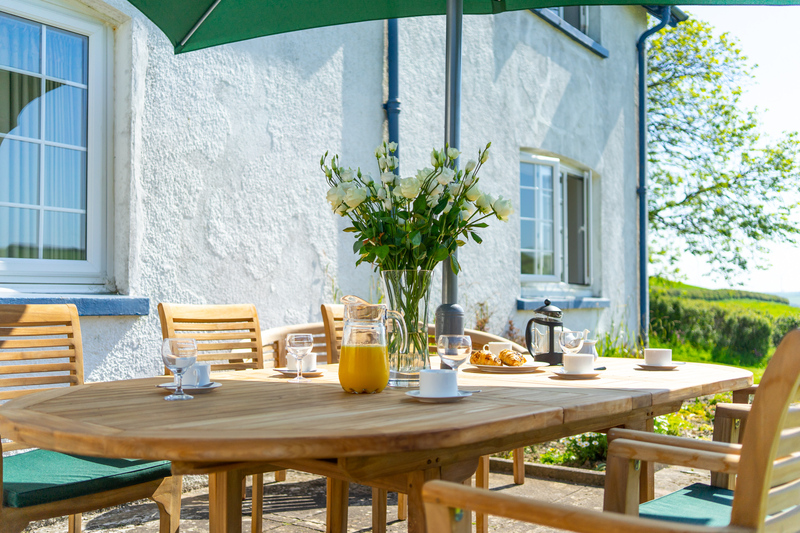 Outside there are large gardens to the front of the house and to the side, plus a patio to the rear with table and chairs ideal for storing bikes and boards and in the front is a lovely patio with smart table, chairs and parasol plus a BBQ, ideal for some al fresco dining. 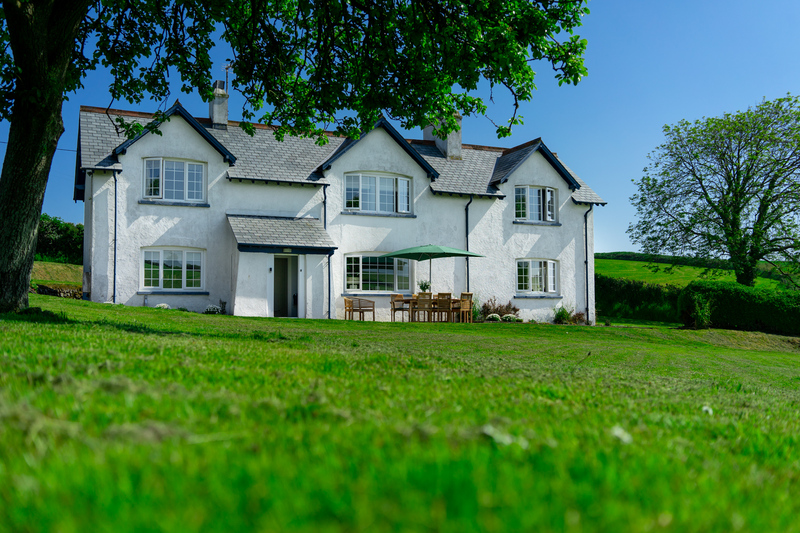 From Braunton Farmhouse you can explore the delights of North Devon as it is within easy reach of the coast with its amazing beaches at Saunton Sands, Putsborough, Woolacombe and the great surfing beach at Croyde. All the main beaches have shops and cafes and will also have surf schools where anyone can learn to surf. As Braunton Farmhouse is dog friendly being able to take dogs on the beaches (at least outside main school holidays) is a real plus. If you like walking the South West Coast Path runs all around the coast and can be accessed at any point or if you fancy something a little more wild, Exmoor is only a 30 min drive away. There are loads of great attractions for children to enjoy; The Combe Martin Wildlife and Dinosaur Park and Exmoor Zoo is a few miles away and Cascades Water Park is in Croyde. Family bathroom: Bath, wash basin and WC. Bedroom 4: Master bedroom - with super-king size bed, wardrobe and chest of drawers. 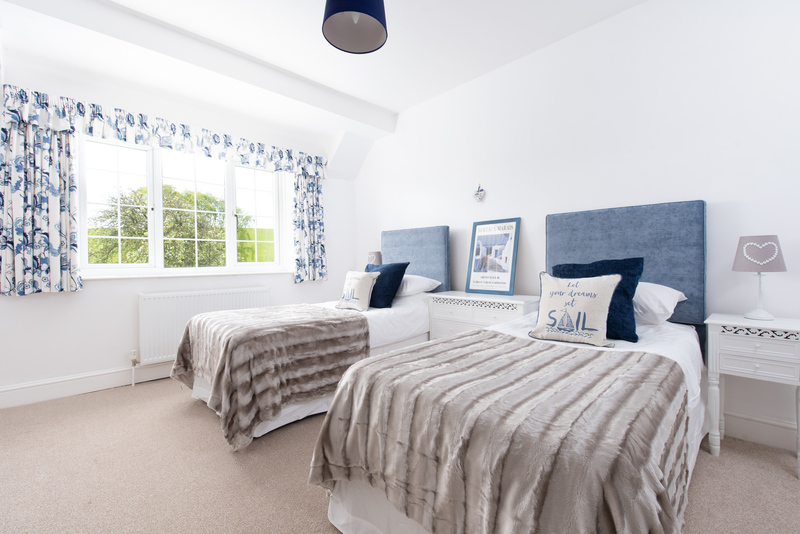 Bedroom 5: Double bedroom - with double bed, wardrobe and wash basin. Gas central heating, electric cooker with hob, microwave, slow cooker, dishwasher, fridge, freezer, washing machine, tumble dryer, toaster, WiFi, bed linen and towels provided (beach towels not supplied), 2 x travel cots (please bring your own cot bedding), high chair, stair gates provided, 2 x Z-beds provided on request, short breaks available, outdoor tap, 3 miles from the coast, 2 miles from the nearest pub, large garden, ample off road parking, BBQ, football posts, croquet set, no smoking, weekly changeover day is Friday, pets welcome, baby friendly, supermarket delivery, security deposit of £300. The village of Braunton in Devon reputed to be the largest village in the UK and regarded as a gateway to other key North Devon locations. This bustling village has a wonderful array of independent food shops, surf shops, traditional pubs, lively bars and restaurants. The North Devon coast is only a 5 minute drive away, with the stunning three mile stretch of golden sands at Saunton Sands located just outside the village, and not much further along the headland are the popular beaches at Croyde and Woolacombe, famous for their excellent surf and clean golden sands. 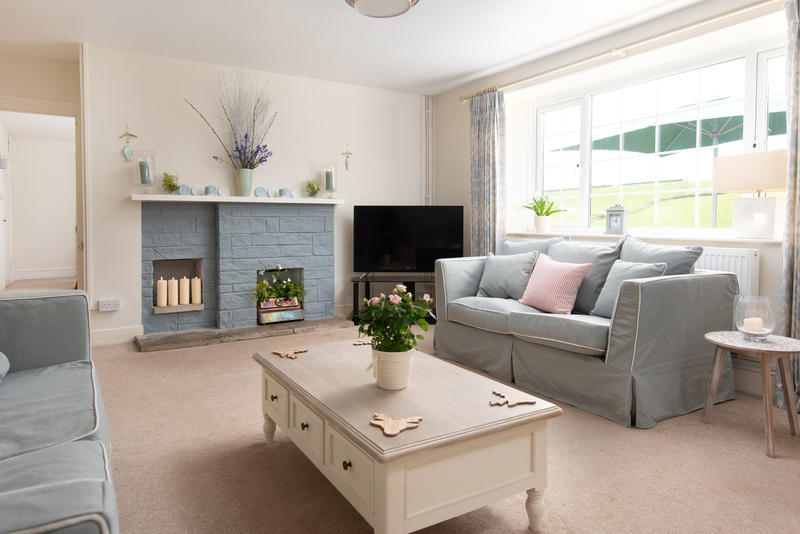 Situated right at the centre of North Devon’s Areas of Outstanding Natural Beauty, with Braunton Burrows, a Site of Specific Interest and the Tarka Trail providing miles of car free paths, there is plenty to do for those looking to explore both the countryside and the coast.